The Day Program at Shepherd Pathways enables a continuation of recovery and rehabilitation for people with brain injury who no longer need 24-hour nursing care. The full-day program continues your rehabilitation track from an inpatient program, or from the community, and provides ongoing assessment and therapeutic intervention. Patients in the Day Program arrive each day at Shepherd Pathways to participate in facility-based training and re-integration training into the community. A Shepherd Pathways case manager will help coordinate each patient’s individualized care with the rehabilitation team. 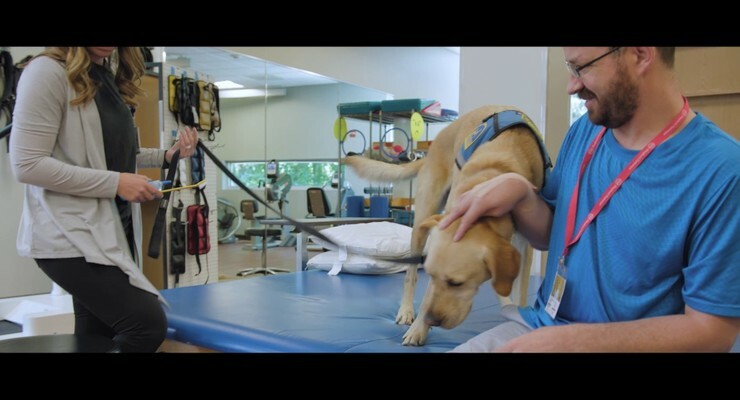 The rehabilitation team is led by a physician and may include physical, occupational, speech and recreation therapists, a nurse, neuropsychologist, rehabilitation counselor, a vocational specialist, exercise specialist, life skills trainer and rehabilitation technician, on an individual or group basis. Patients and their rehabilitation teams will organize activities such as grocery shopping, accessing transportation, dining out at local restaurants, and pre-vocational and vocational assessments and counseling to help ease the transition back to the community, work or school. Download our Day Program fact sheet.